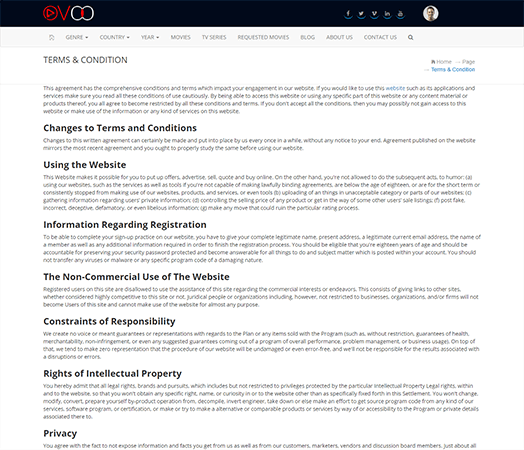 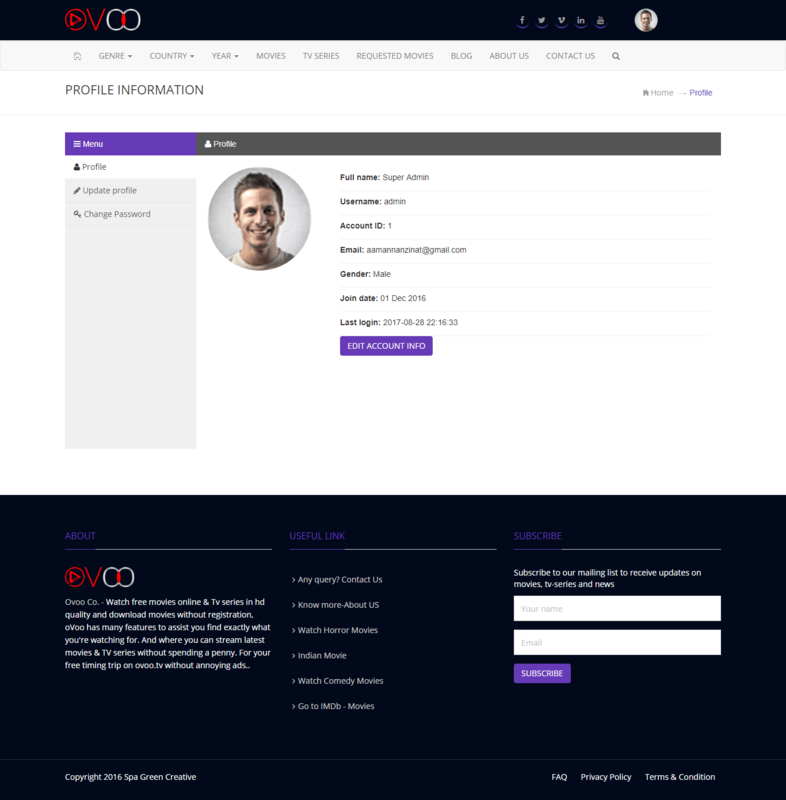 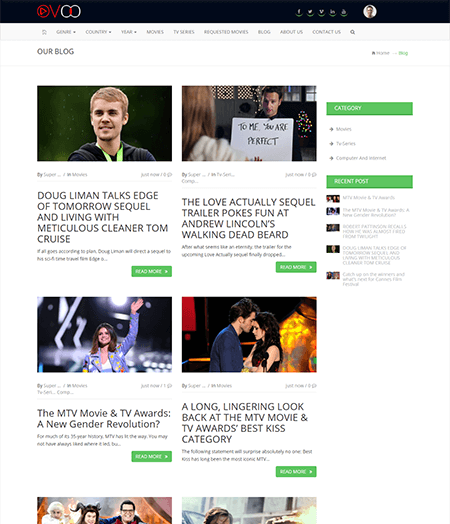 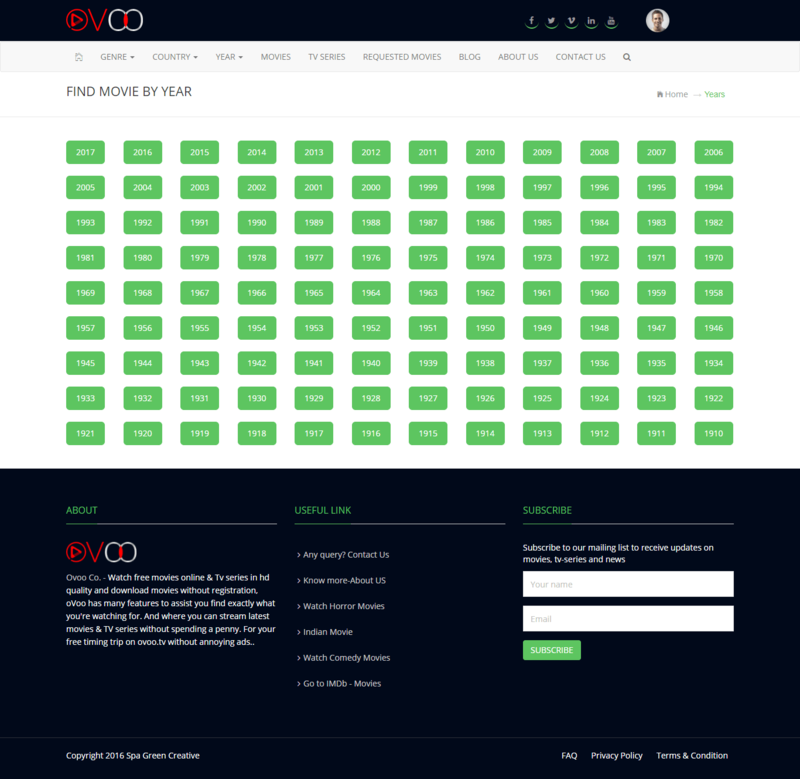 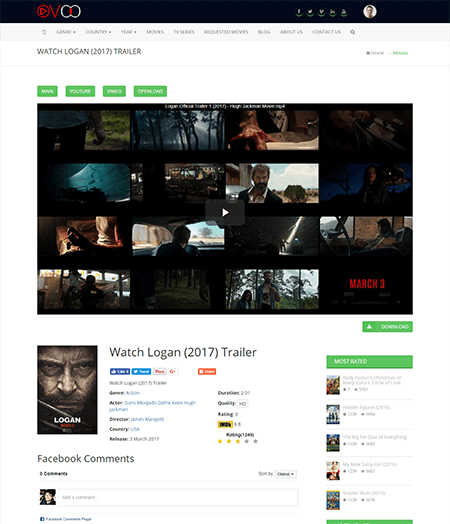 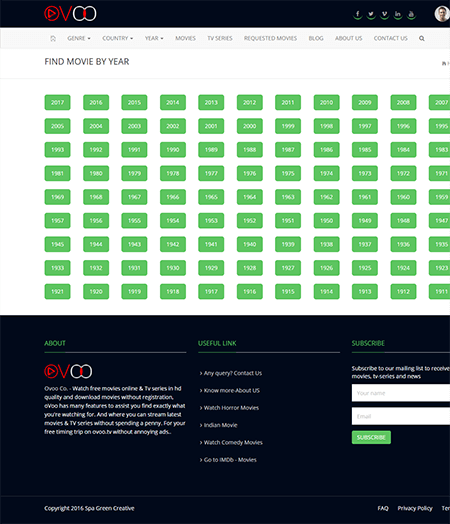 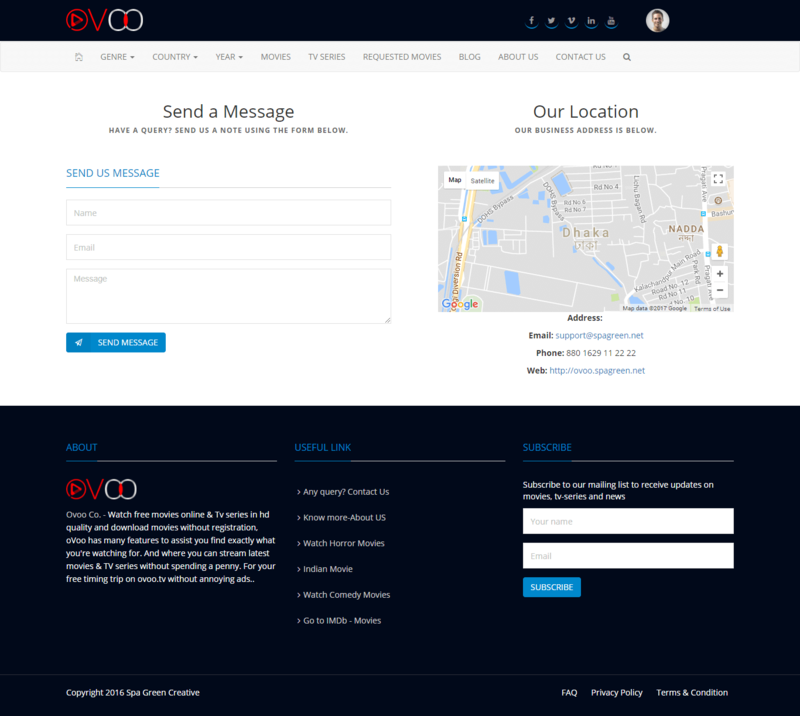 OVOO is PHP based movie script with advanced video content management system.You can create your own video website by this script.You can add unlimited movie, video, page and post.You can also organize video by genre, type & year. Stream TV Channels, TV Shows, Gaming Reviews, Just find iptv embed links in web and simple paste it in admin panel. 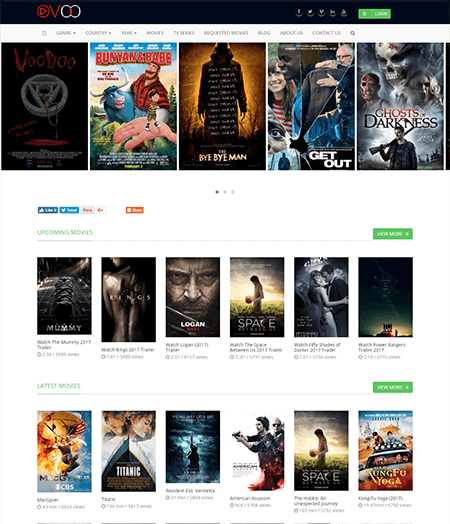 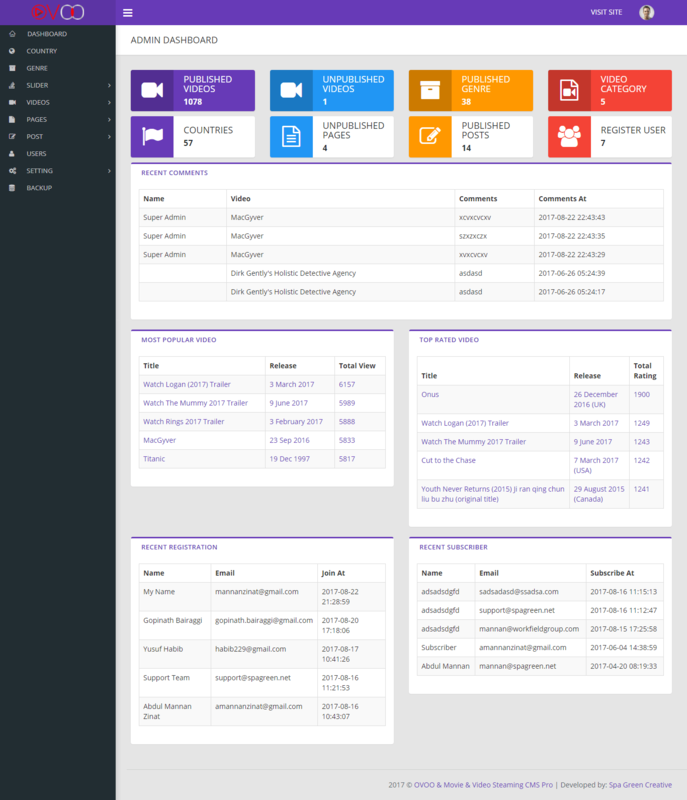 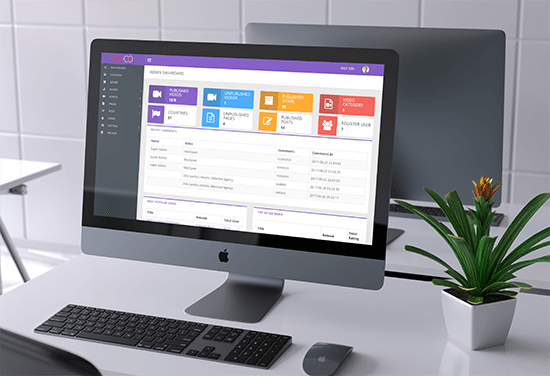 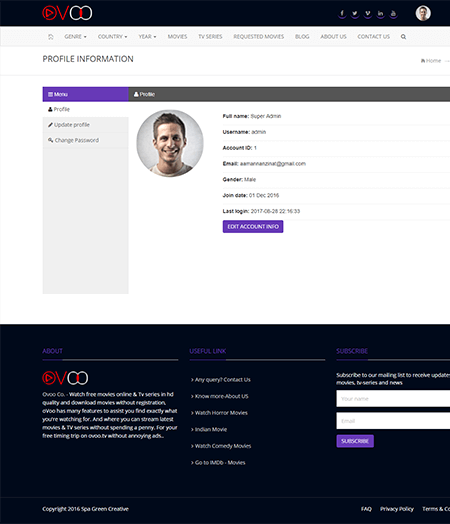 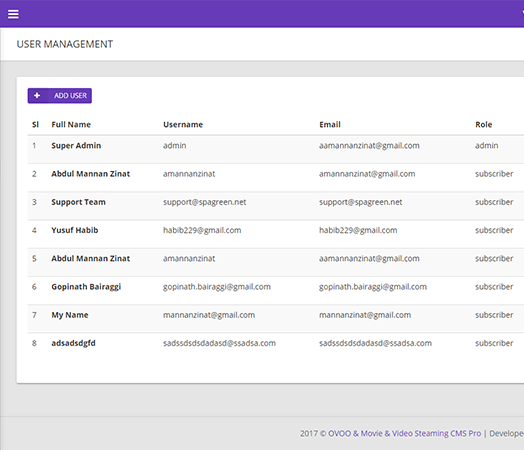 At glance control & monitor all activities of your website.You can add, update and remove movies, post, genre and etc from dashboard..
OVOO build with stunning front-end template.Its supported by any mobile devices and major web browser. 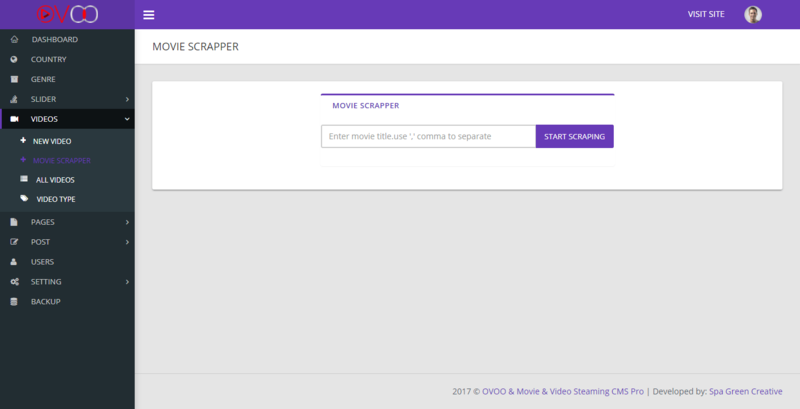 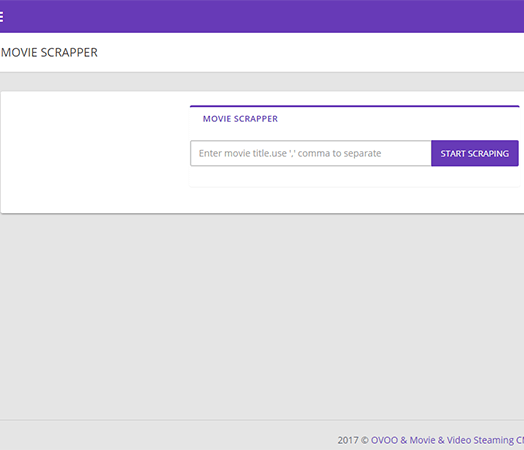 Ovoo Is ready with build-in movie scrapper.You can scrap movie information easily.Just type movie name to scrap movie information. 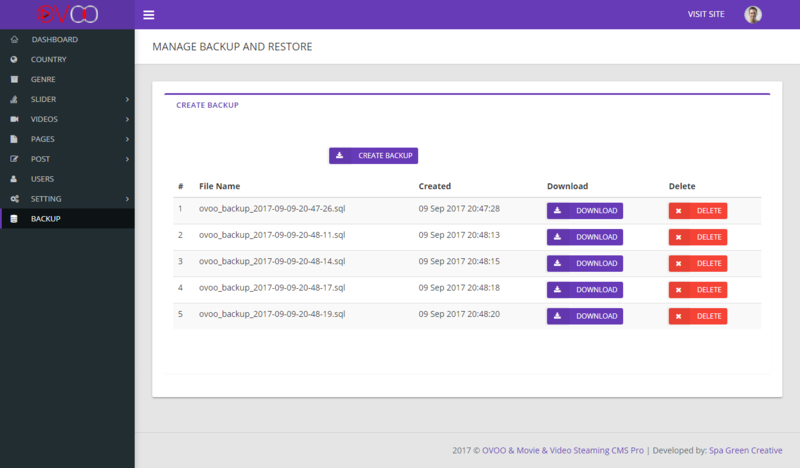 Ovoo support youtube video to embed any movies.Ovoo also supported by all kind of embeded videos & movies..
Ovoo professional version have multiple slider option .You can user latest movie slide and image slider. Create unlimited cms page as per required. 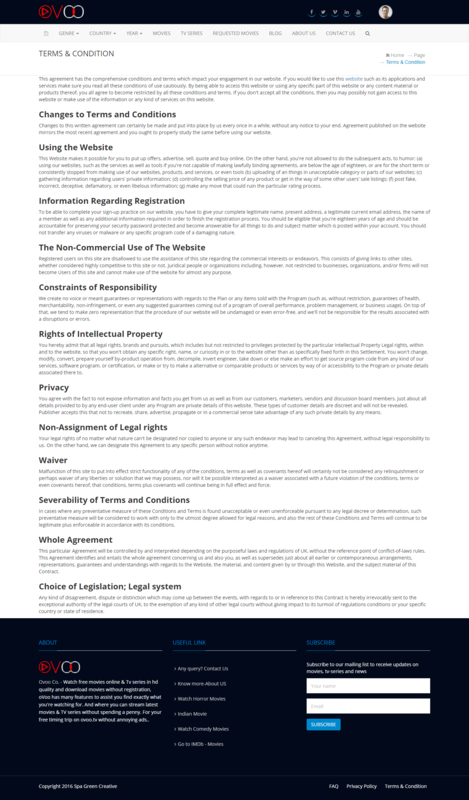 No limitation to create page.summer-note editor is ready to edit page content.. 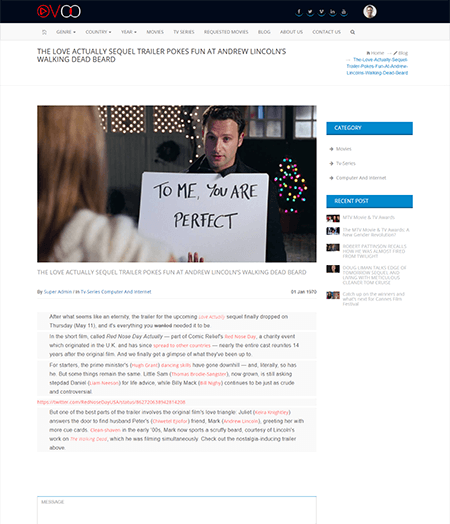 Create unlimited post as per required. No limitation to create post.Category features also present in ovoo..
addThis plugin used to like and share your happy moment & videos.. 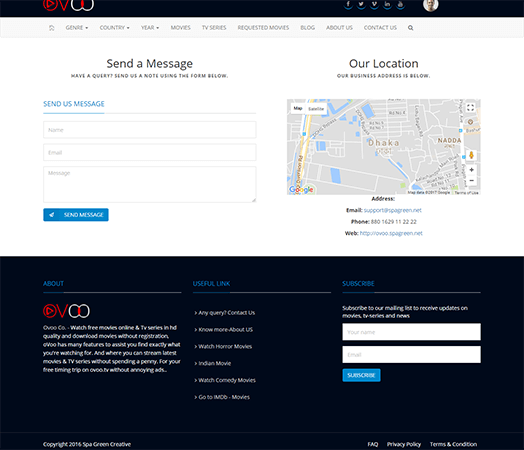 Send newsletter who have already subscribe to your site..
We always love to create unique & amazing item for our valuable customer. 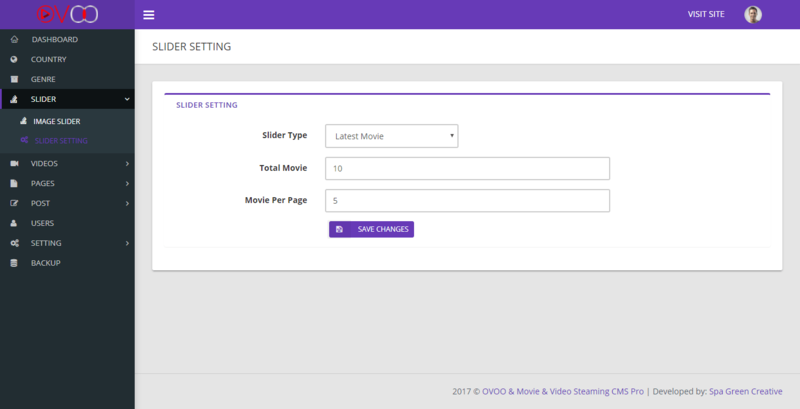 OVOO build with some unique features.